Nicely done! I like the different cables, and really like the added thumb, too :D I'll be casting on for these as soon as I finish up the Bella mitts..hehe :D Thank you for sharing the pattern! 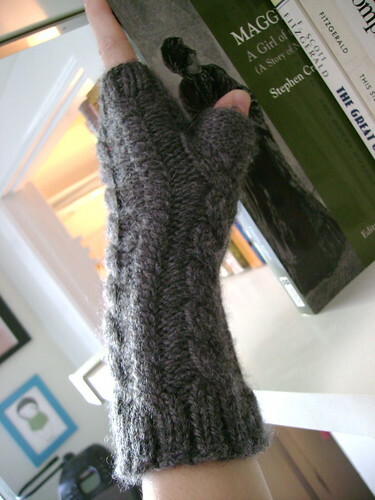 Love the rev stockinette thumb! Thank you for sharing your wonderful patterns with us. 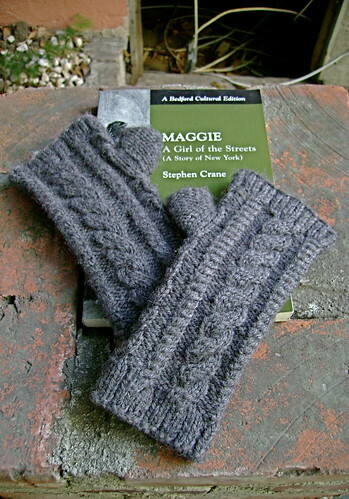 They are beautiful and a joy to knit. What a great talent you have for designing. Thank you, thank you, thank you! thank you for sharing your patterns! i LOVE THEM ALL! I hope sometime to meet someone as talented as you are! (at least I think you live in Los Angeles...from your blogging).